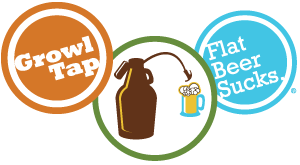 There’s little that gets us more excited than hearing about a state legalizing growler fills. For the first time since before Prohibition you can now purchase fill growlers in West Virginia! I imagine there will be some similar reactions in West Virginia to craft beer as there are in this German Ad.